Luxury & comfort is what we strive for. The transformation from 19th century “conch” houses to beautifully restored rooms, suites, and a fine-dining Café has brought the Marquesa Key West many awards, including Conde Nast Traveler Magazine’s “ Gold List of World’s Best Places to Stay and Travel & Leisure Magazine’s “T&L 500 The World’s Best Hotels”. Our Old Town Key West location is perfect for exploring – just one block from Duval Street, four blocks from Mallory Square and the Gulf of Mexico, and a mile from the Atlantic Ocean. A car isn’t necessary – it’s all within walking distance. We do, however, offer complimentary parking on our property if you drive to Key West. 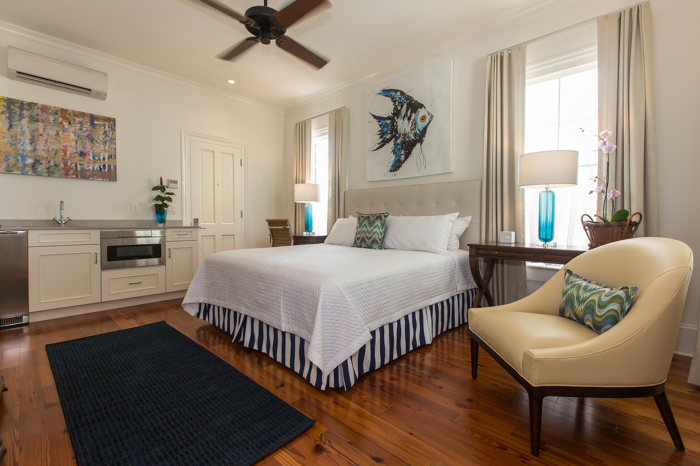 All our Key West luxurious hotel rooms have modern-style baths, central air conditioning, telephone, cable television, refrigerator, iron, hair dryer, makeup mirror, bathrobes and a security safe. We also have complimentary coffee, tea and wifi for our guests to enjoy. 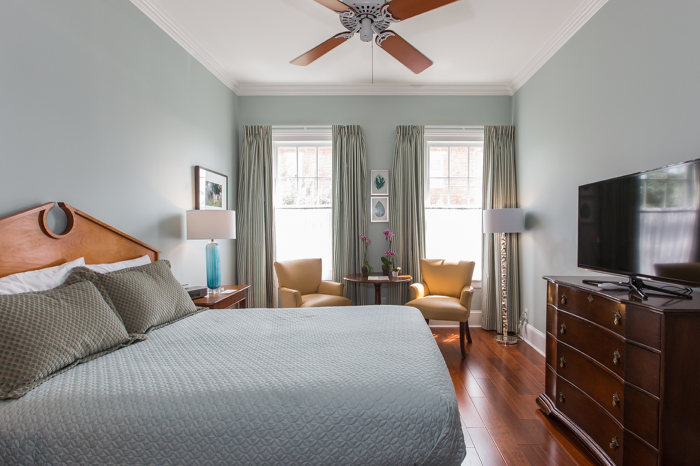 Our standard rooms with one queen bed are located at the original Marquesa on the second and third floors of the main house. With a city view, they are beautifully furnished with antique reproductions and luxurious fabrics. All of our standard rooms have modern-style bathrooms, central air conditioning, telephone, cable television, iron, hair dryer, makeup mirror, bathrobes, mini-bar-fridge, and a security safe. Our poolside standards are on the first and second levels adjacent to the main house at the original Marquesa and they afford a lovely view of our extensive garden pool area. Each has a luxurious private modern-style bath, desk, flat screen TV, mini bar fridge, central air conditioning, telephone, cable television, iron, hair dryer, makeup mirror, bathrobes, security safe, and outdoor dining table. The furnished deck is shared with the adjoining room. One king bed plus a living room grouping with sleeper sofa. 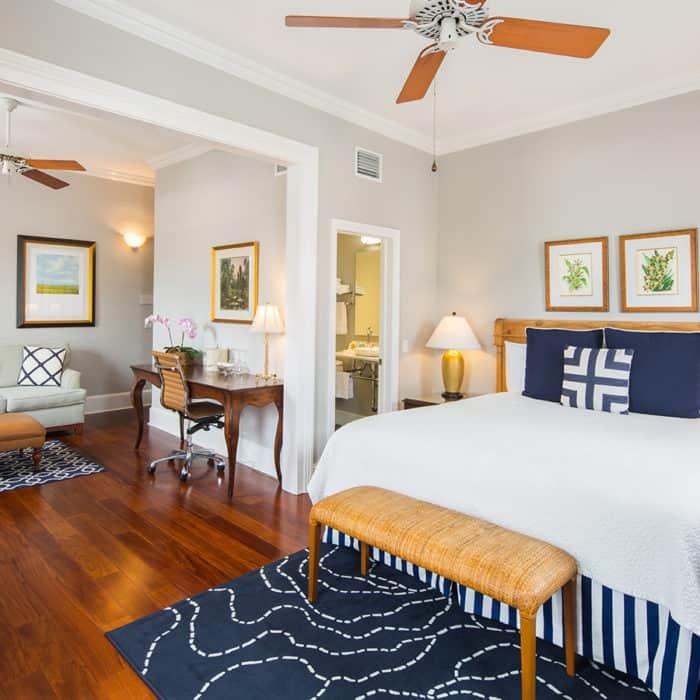 Each is beautifully furnished with modern-style baths, central air conditioning, telephone, cable television, iron, hair dryer, makeup mirror, bathrobes, mini-bar fridge, and a security safe. These rooms are located on the second or third floor with no elevator access. Our Balcony Deluxe rooms are located at the new Marquesa 4-1-4. The Balcony Deluxe has one king bed with a private covered balcony that includes two lounge chairs and a small dining table overlooking the pool and lush garden. In addition, they have modern-style bathroom with glass-enclosed tub and shower, flat screen television, desk, central air conditioning, telephone, cable television, iron, hair dryer, makeup mirror, bathrobes, refrigerator, microwave, wet bar. and security safe. Located at the original Marquesa, our Junior Suites feature a king bed and a spacious sitting area that includes a convertible sofa sleeper. It also has a covered porch with dining table and lounge chairs. The views overlook the garden and pool areas. 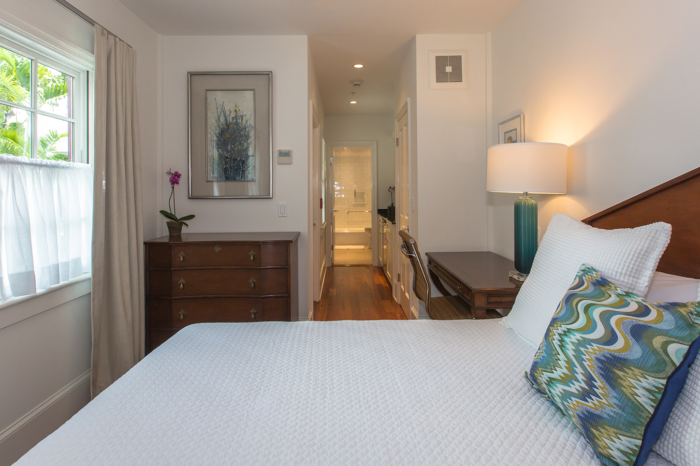 All of our Junior Suites have modern-style baths, central air conditioning, telephone, cable television, iron, hair dryer, makeup mirror, bathrobes, mini-bar fridge, and a security safe. 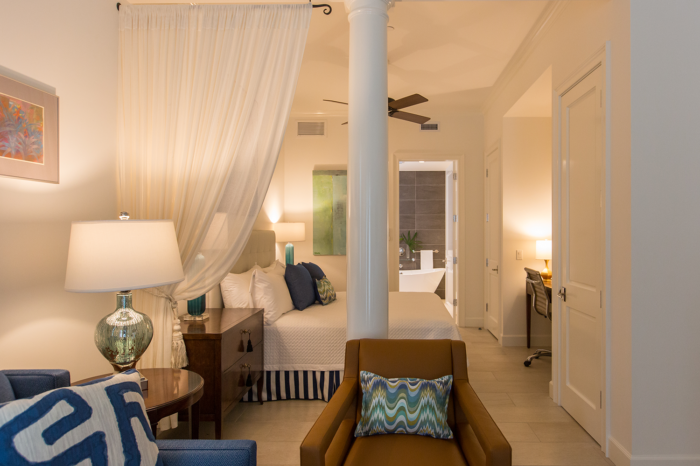 Our Bahama Suites are located at the new Marquesa 4-1-4. 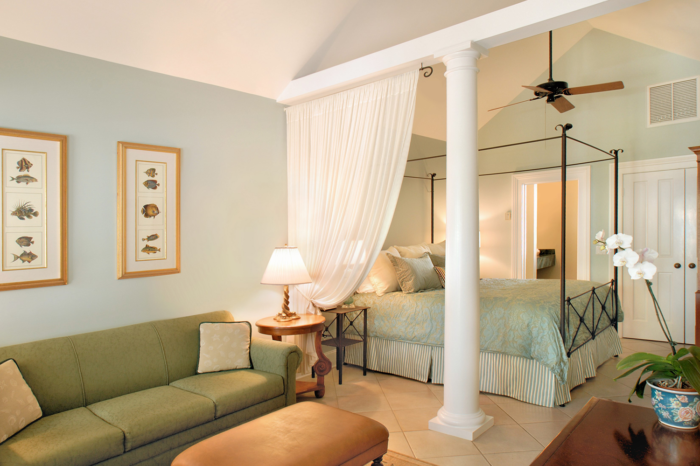 With a modern, open-plan, the Bahama Suites have one king, a sofa sleeper in the living area with a seating grouping and a private, covered porch. 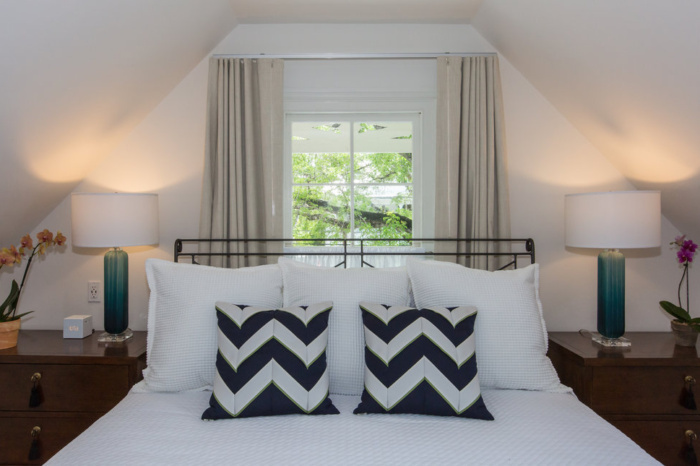 In addition, they include a modern-style bathroom with soaking tub and separate glass shower, two televisions, central air conditioning, telephone, cable television, iron, hair dryer, makeup mirror, bathrobes, refrigerator, microwave, wet bar, and a security safe. 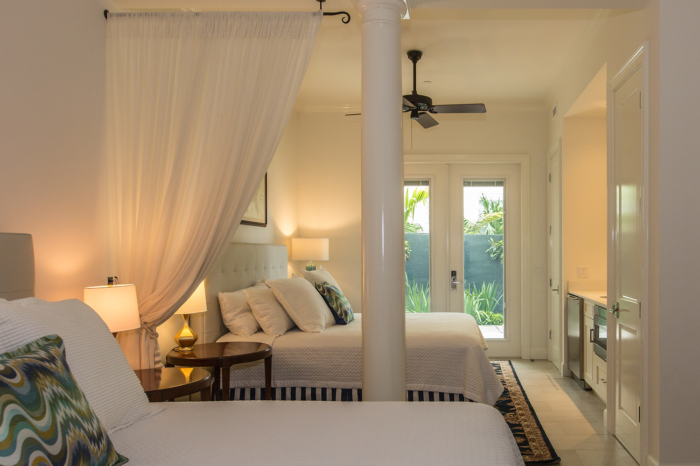 Our Garden Cottage is a one of a kind room - a small bedroom with king bed and desk with a large, private poolside porch with a retractable awning, two chaise lounges, two lounge chairs and dining table. It also includes a modern-style bathroom with a glass-enclosed tub and shower, hair dryer, make up mirror, bathrobes, flat screen television, wet bar, fridge, microwave, iron, and security safe. 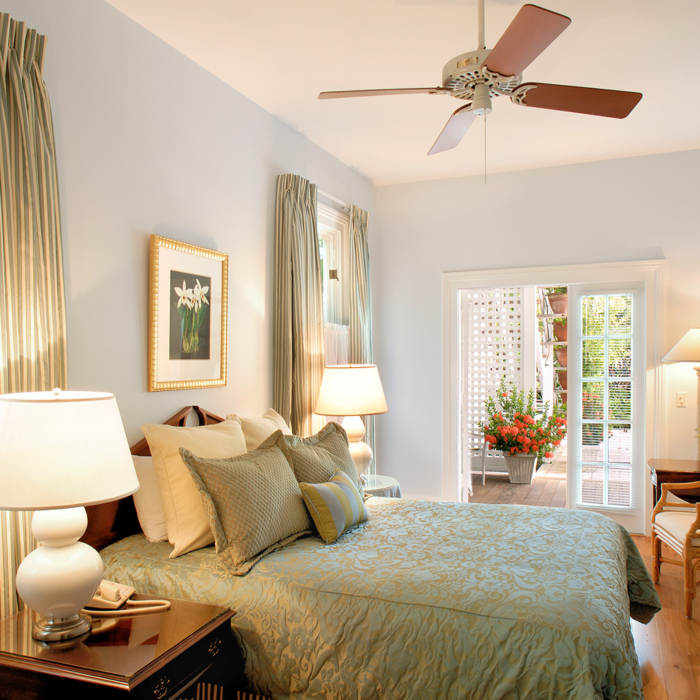 Our Premier Double has two king beds and a private covered porch with two lounge chairs and small dining table. It also includes two flat screen televisions, desk, wet bar, fridge, microwave, iron, security safe, bathrobes, makeup mirror, modern bathroom with glass-enclosed tub and shower, private balcony with two lounge chairs and small dining table. Handicap accessible accommodation. Our Premier Suite has one king bed and desk and a separate living room grouping with chairs, ottoman and sofa sleeper that converts to a convertible queen. The Premier Suite also includes a large, modern-style bath with soaking tub and glass enclosed shower, bathrobes, makeup mirror, wet bar, fridge, microwave, iron, and two televisions. The suite includes a large private porch with lounge chairs and dining table.